Is “Gim Bap” same as Japanese sushi? 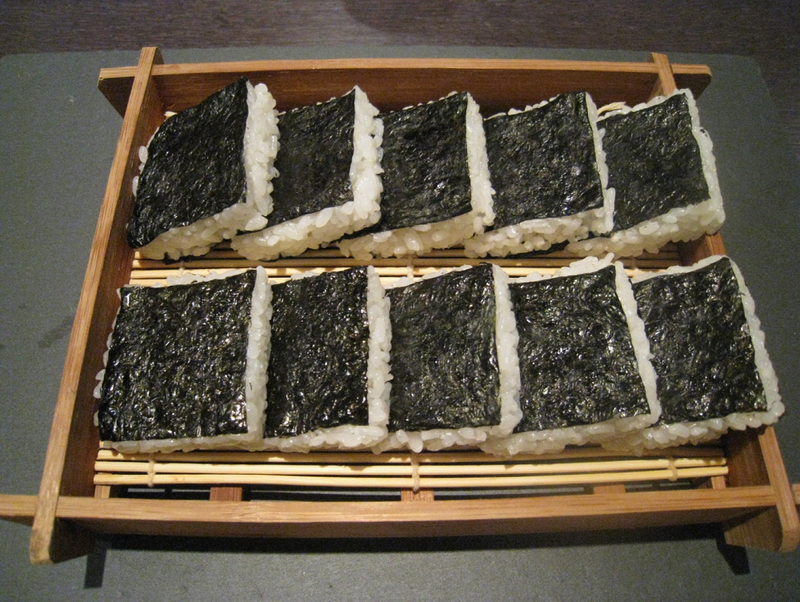 English people tend to assume that this seaweed rice roll is a form of sushi. However sushi should contain raw fish and “Gim Bap” doesn’t. Even though Korea and Japan are very close geographically, these two countries are very different in many aspects especially their culinary styles and even tableware. For example the Japanese use only wooden chopsticks but no spoons, drinking soup from the bowl instead. On the other hand Koreans use metal chopsticks and metal spoons. “Gim Bap”, does not contain any raw fish but it is traditionally filled with vegetables such as spinach, yellow pickled radish, carrots and burdock. In modern times people include a wider range of ingredients such as egg, sautéed beef, sausage, fish or crab stick, cheese and “Kimchi” (a Korean dish made of fermented vegetables with a variety of seasonings). 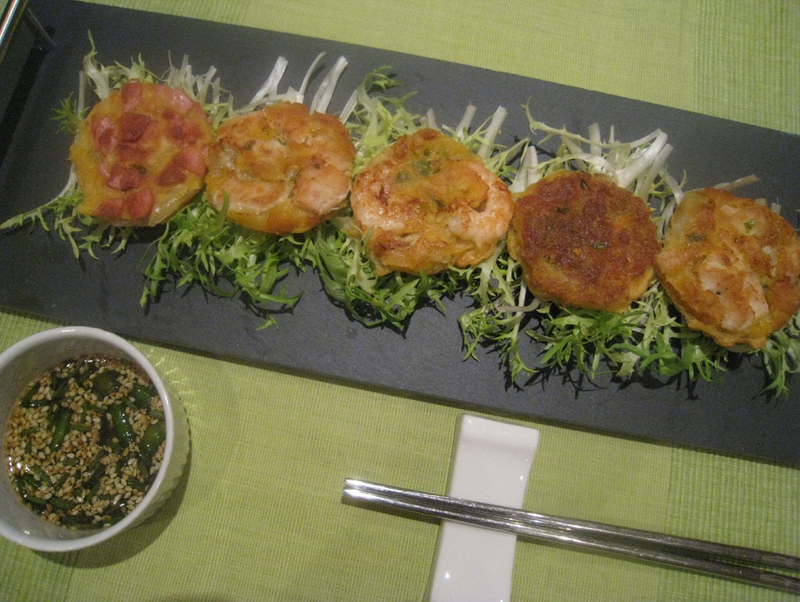 Korean “Gim Bap” is not served with Japanese style accompaniments such as wasabi in soy sauce or pickled ginger. Instead the rice and vegetables are already seasoned with salt. 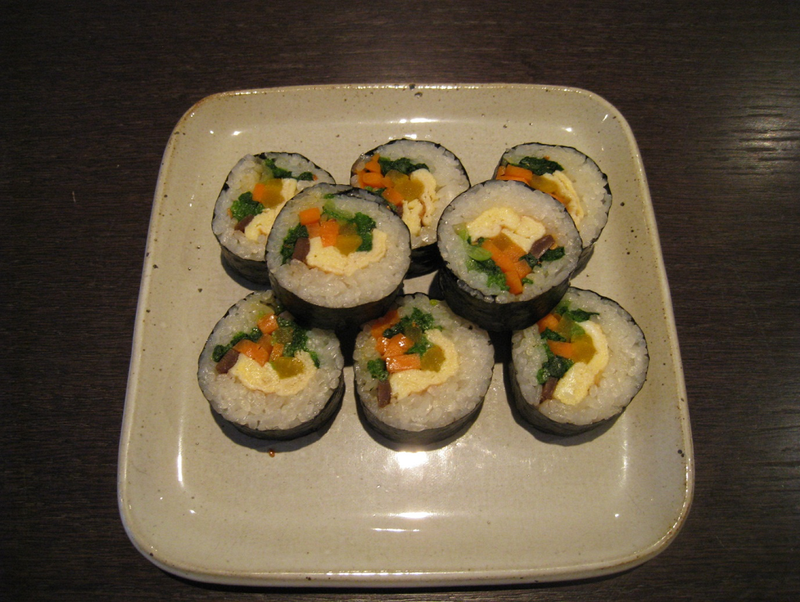 Nowadays, most Korean snack bars serve “Gim Bap” with together with Kimchi and Yellow Pickled Radish. Before you make this “Gim Bap”, you need to cook some steamed rice whilst preparing your fillings. Take your bunch of spinach and clean it by filling up your sink with water and soaking to loosen any sand or dirt. Trim and remove any rotten leaves but do not cut off the stems since we need them. Boil around 300ml water add a pinch of salt and add the washed spinach into the boiling water for around 1-2 minutes. Drain the water from the spinach and rinse in cold water a couple of times. Squeeze out any excess moisture. Season the spinach with sesame oil, toasted sesame seeds, salt and a little bit of granulated cane sugar. Thinly slice the carrots into strips and stir fry them for 1- 2 minutes in a little bit of olive oil with a pinch of salt. The burdock I used came ready cut into strips suitable for “Gim Bap” and did the Yellow Radish. You can see the relative amount and sizes from the photographs. Make a thin omelette from two eggs and cut into a thin slice. Place the dull side of a sheet of seaweed onto a bamboo mat leaving about 1-2cm from edge closest to you. Spread a portion of rice (3-4 table spoons) covering ¾ of the seaweed sheet filling from the edge closest to you. Place the strips of filling (omelette, yellow radish, carrots, burdock and spinach) on the rice; making sure that fillings extend to both ends of the roll. Starting at the edge closest to you, pick up the seaweed and fillings using thumb and index fingers of both hands. When the roll is complete, press inwards at both open ends and wrap with cling film. Leave for a minimum for 30 minutes, before removing the cling film and slicing to serve.